Check out my review of ME: Foundation issue #6. Ahhhhhhh…do you hear that sigh of relief? Within the first two pages, we’re back to what I loved about ME: Foundation. While the art is sketchier and dirtier, the female bodies are back to normal shapes and poses, without all of that big-boobed contortionist thing that was going on in issues 5 and 6. Mass Effect: Foundation #7 starts off with Jack pulverizing a door and ends with Kai Leng making a dumb face. If that information isn’t enough to convince you to pick this one up, I have nothing else for you here. When elite Cerberus agents are ordered to capture a powerful and dangerous rogue biotic, they are completely unprepared for the fury that is Subject Zero—better known as Jack! 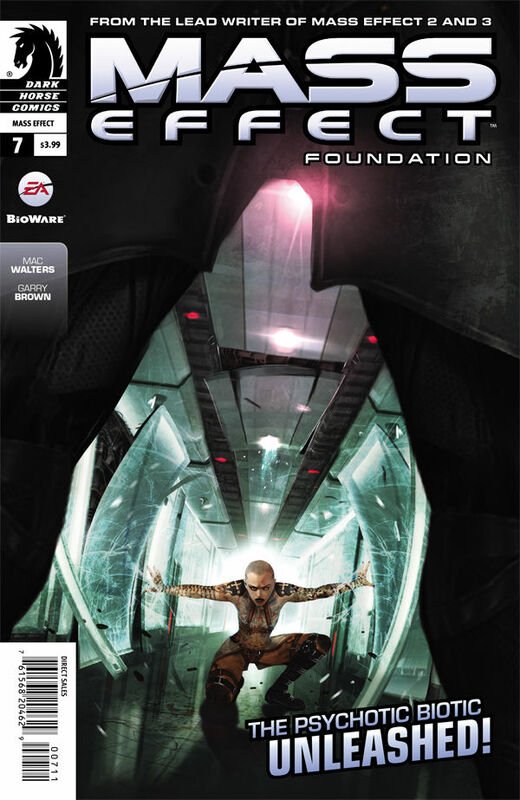 Click here to purchase Mass Effect: Foundation #7.